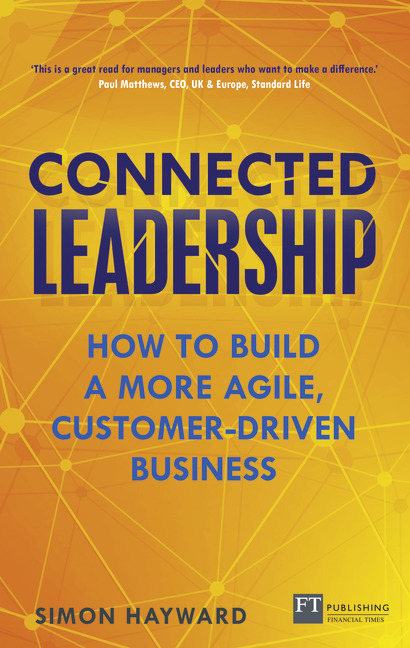 Connected Leadership has been officially shortlisted in the 'Management Futures' category for the 2017 Management Book of the Year prize which has just been announced by the Chartered Management Institute (CMI) and the British Library. 3 - The end of business as usual? What does the connected organisation look like? What does the connected leader look like? Simon Hayward is an award-winning thought-leader, valued by major clients, including Three, HSBC, M&S and Network Rail as a trusted advisor & partner. He has a wealth of strategic consultancy & leadership experience gained over 25 years & has developed major strategic learning & development programmes across Europe, Asia, North America & the Far East.